Shinya Kogami’s Life as an Investigator Revealed. From star creator Gen Urobuchi (Fate/Zero, Puella Magi Madoka Magica)comes Psycho-Pass: Inspector Shinya Kogami, the prequel to the blockbuster science-fiction crime drama anime series Psycho-Pass. Written by Midori Goto with art from Natsuo Sai, this new manga series is Blade Runner meets Minority Report. With Psycho-Pass: Inspector Shinya Kogami, Urobuchi reveals how the legendary enforcer was once an ace detective! Working within the city-regulating Sybil System, inspectors must fight crime in a future where a single number measures your criminal tendencies and determines if you are useful to society! 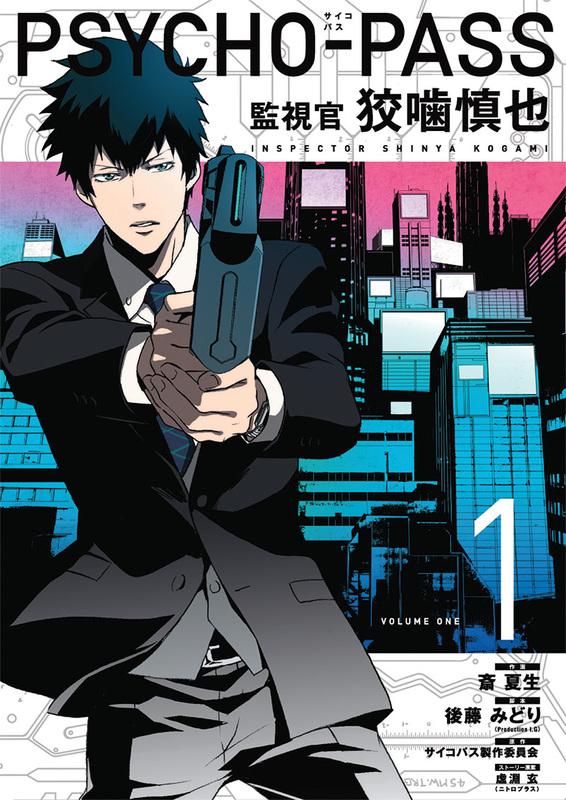 Psycho-Pass: Inspector Shinya Kogami Volume 1 debuts on November 9, 2016. Preorder your copy today at your favorite retailer or local comic book store.